This is my first blog post being written from Open Live Writer. I suspect there are so many people to thank that I wouldn’t even know where to start. I’ve used Live Writer for years to create blog posts. 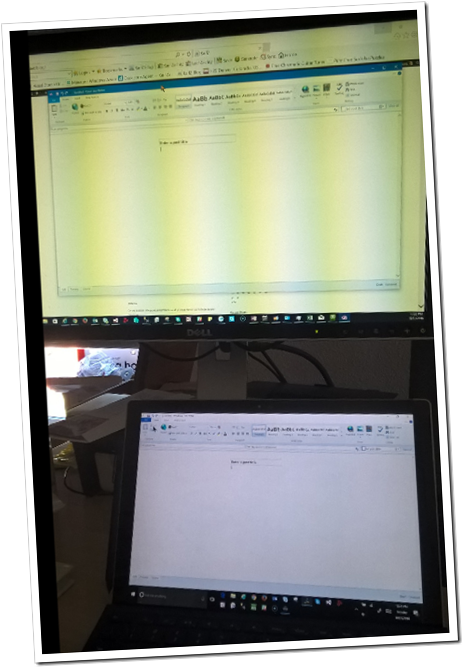 When it looked like Live Writer would go away I probably tried 10 other authoring tools (too long ago to remember which ones). And each time I thought, “But Live Writer did it right. It’s easy. It meets my needs.” So I was thrilled when Microsoft agreed to allow it to become open source. 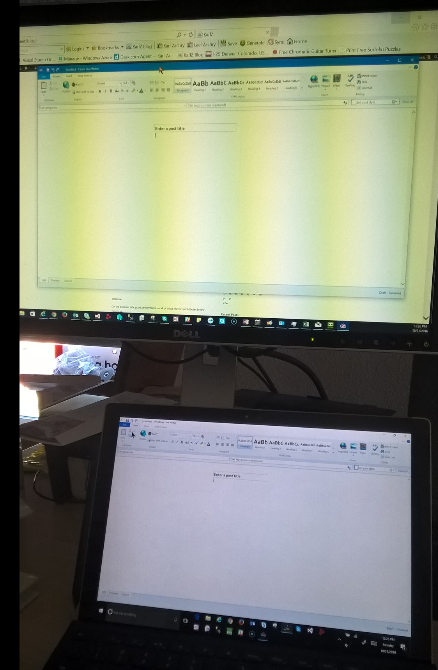 Below is an image of Windows Live Writer on one computer and Open Live Writer on the other. You can’t really tell the difference! Of course I guess one place to start thanking is Microsoft and Microsoft employees for making the source code available and the decision to allow it to become open source. Of course, I’m sure that’s when the real work began and I see the list of contributors on the site is quite long. Thank you all! This entry was posted on Monday, October 31st, 2016 at 1:38 pm and is filed under Technology. You can follow any responses to this entry through the RSS 2.0 feed. You can leave a response, or trackback from your own site.